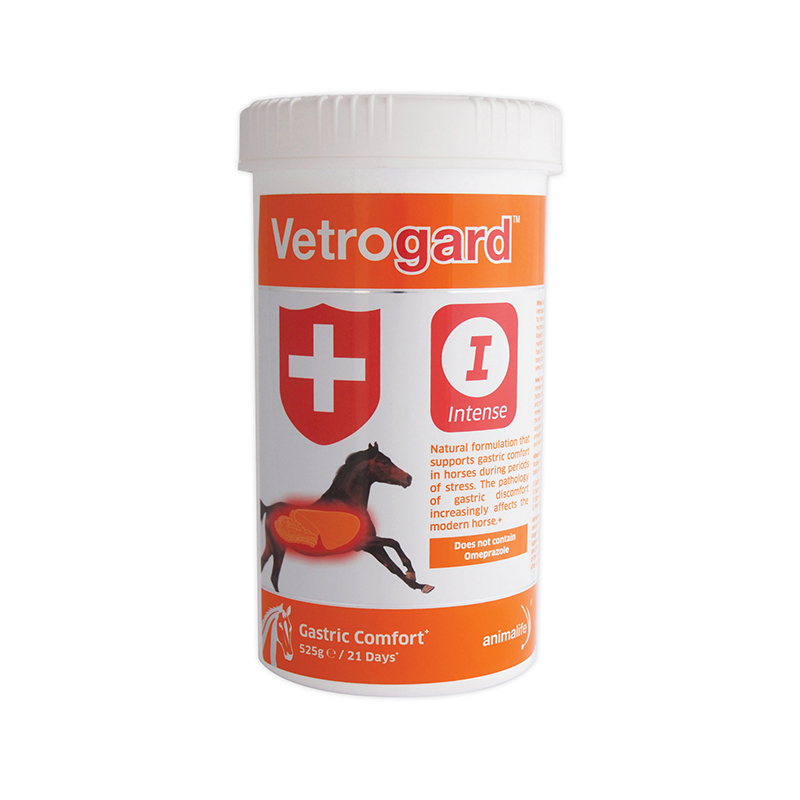 Vetrogard Intense by animalife is a proven gastric health support supplement designed for horses of all ages and activities. The palatable formulation is made from micronised soya that has been fermented with Lactobacillus delbruekii Rosell197. The challenge for anyone managing a stabled or active horse is to maintain and support gastric health when the stomach is expecting a supply of food 24/7, but in reality receives discrete meals throughout the day. Appetite, body condition, droppings and behaviour are all linked to gastric health – which when compromised can prevent the horse from performing at its optimum. For animal use only. Serve dependent on the individual animal but as a guide. Store in a cool dry place out of direct sunlight. Replace lid after use.